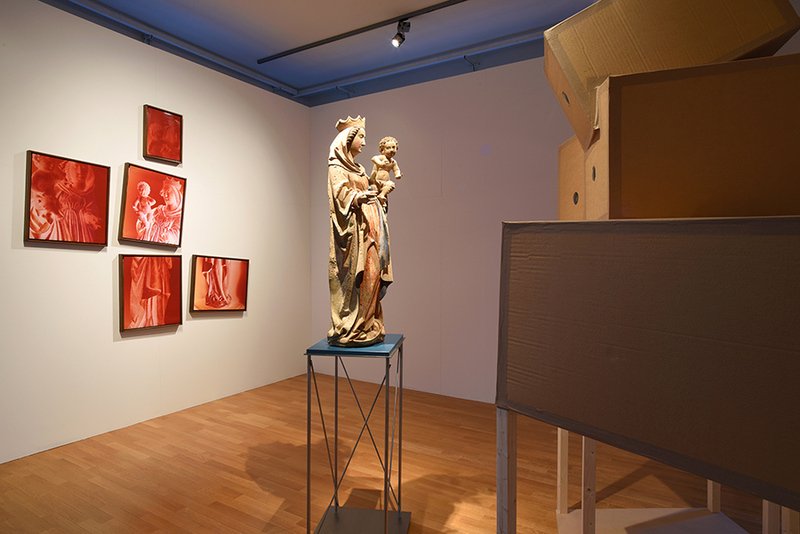 Rezension – Skulptur, Object, Apparat is the result of a three year period of research that has focused on a collection of late Gothic, painted, lime wood sculptures, made between 1440 and 1495, which are housed in the Strigel Museum in Memmingen, Bavaria. 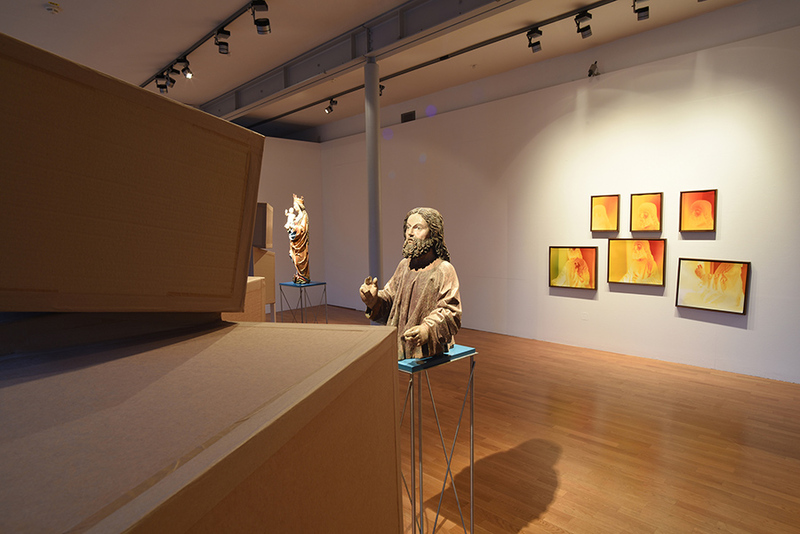 The project involved designing and building large cardboard cameras, which were then used to photograph the historic sculptures. 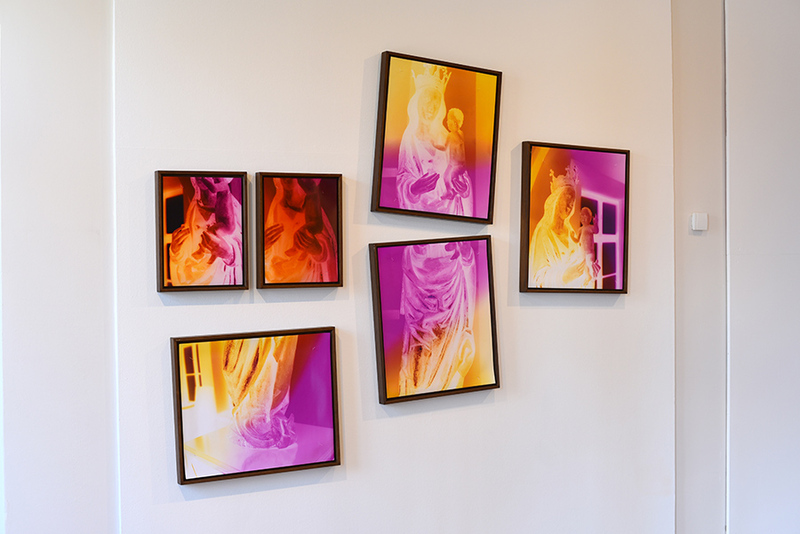 The photographic apparatus becomes a sculpture in space. 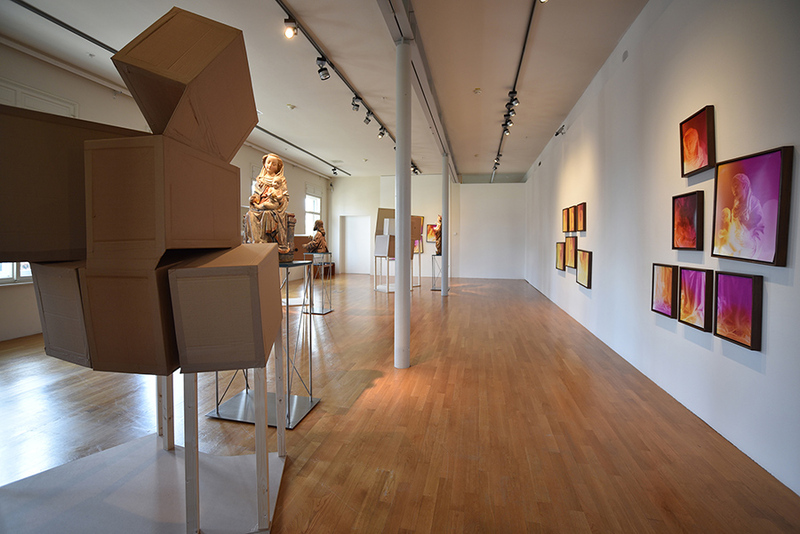 Along with the historical art objects the results of this experimental setup hang on the walls, the photographs that were taken with the cardboard, multi-lensed cameras. At the same time, we see the photographs and the objects they depict: the historic sculpture, the camera-sculpture and the resulting images. Martin Newth has been exploring basic, hands-on photographic process for many years. He exposes photo papers in self-made large-format cameras. Sometimes he converts entire rooms to such camera obscura. The results are not always predictable. The exposure times can only be estimated and the lighting conditions often change during the exposure. 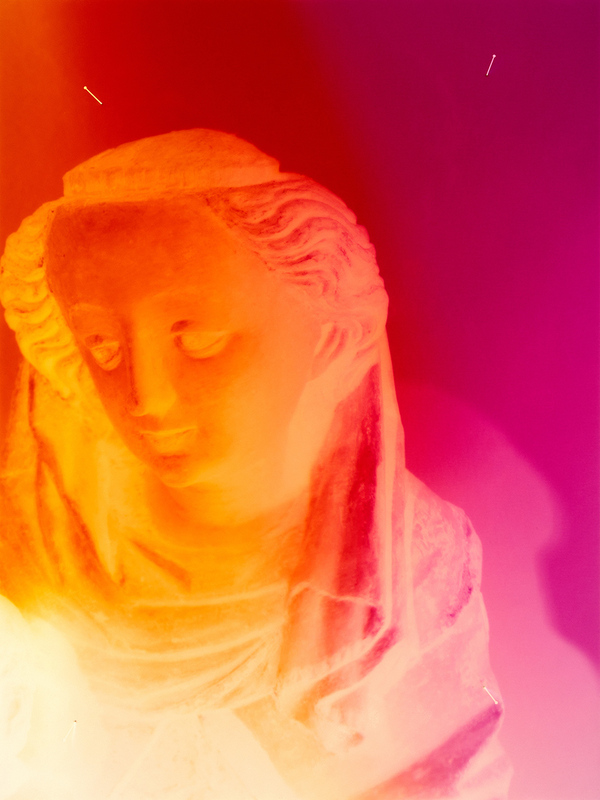 As a result, coincidences occur, especially when using colour paper, which influences the photographic results. 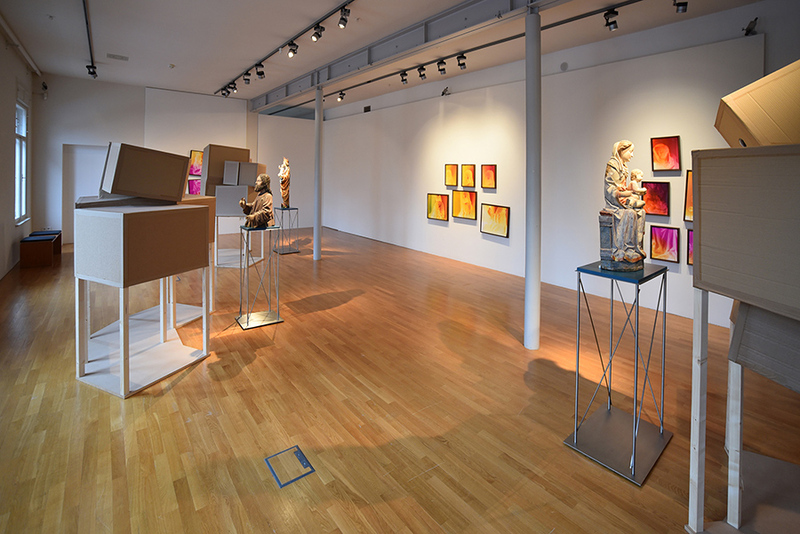 The project embraces the creative possibilities of this lack of control and encourages the audience to themselves explore the process by which the images are made. 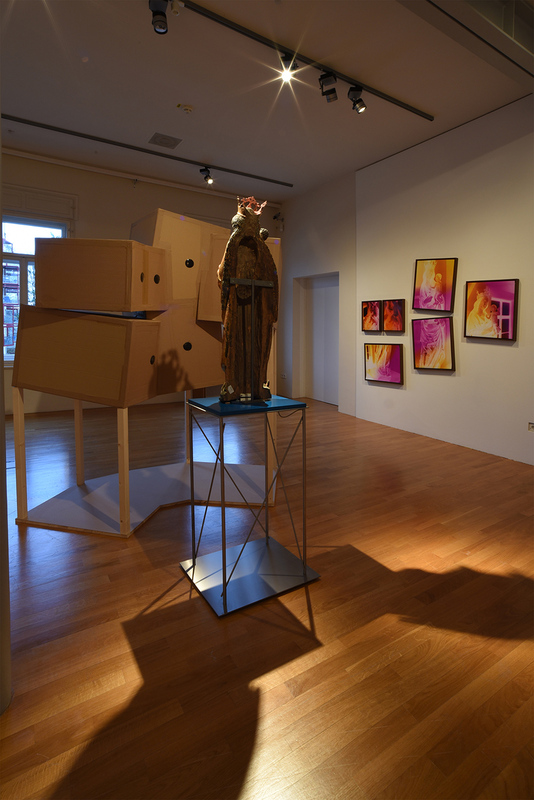 In addition to the cardboard cameras, late Gothic sculptures and unique colour negative photographs, Martin is also exhibiting three new video works. 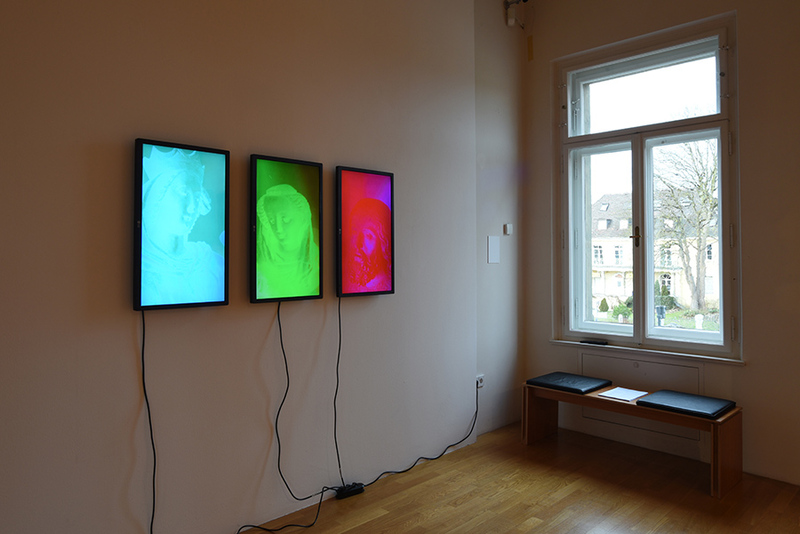 In contrast to the historic mode of production of the photographs, the videos deploy digital technology to slowly, almost imperceptibly, animate the otherwise still photographs through the full chromatic scale of colours which, at times, briefly switch from negative to positive. 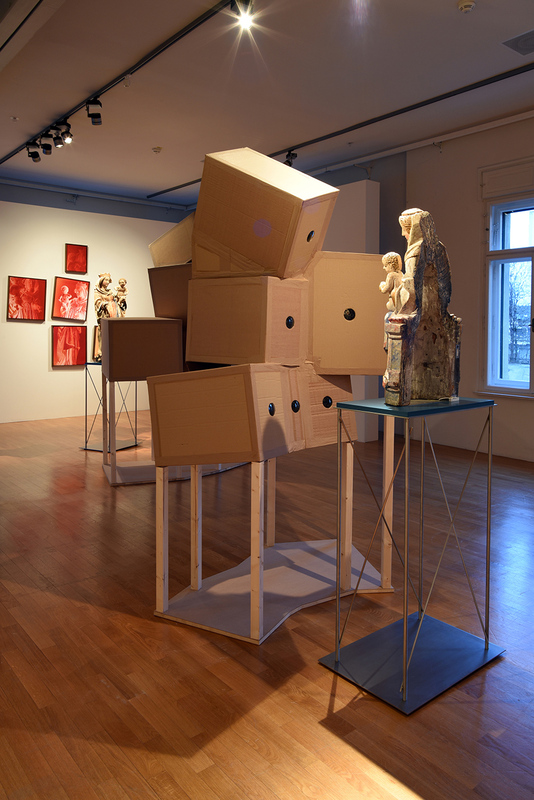 As well as exploring the historical roots of the photographic process and providing a fresh look at a collection of sculptures, Rezension, which might be translated as Review in English, seeks to explore the nature of the encounter with a work of art. Rezension wonders what it must have been like to witness the sculptures in their church locations in the 15th Century and what it is to encounter artwork now. The installation heightens the viewers’ awareness of the act of looking and raises questions about the role of the mediation of artwork through the apparatus of technological modes of image production, those historic as well as contemporary. Thronende Madonna mit Kind. 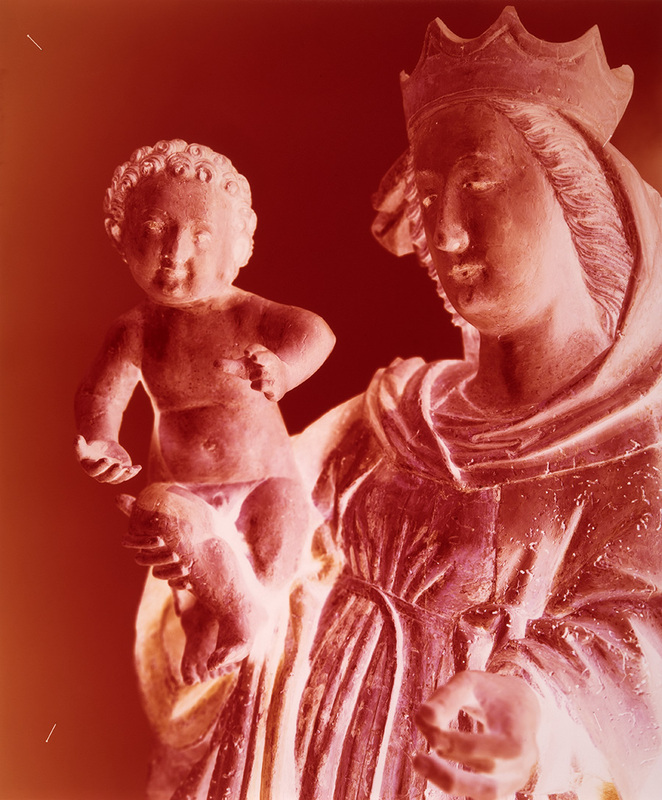 Meister des Imberger Altars - um 1480- colour negative C-Type Photograph 24"x20"